"European Union after BREXIT" - unbelievable... Anyway, what has happened we can change hardly ever but we can always do more to avoid enexpected changes. This project of our Association aims at prevention against disintegration and strategic development of the EU. The European Union, in our opinion, is the biggest and the most awesome project taking place in today's world. The fact United Kingdom has been leaving the European challenge says only one thing: we have to work more i.a. 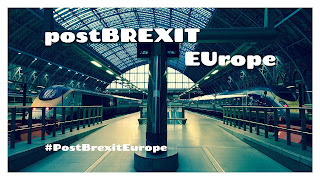 to let UK be a part of the future Europe; Europe managed by objectives. So, not criticism but progress is priority for us, the Polish Europeans.